Compliance training is one of those necessary evils of the modern workplace. Images come to mind of thick OSHA binders full of loose paper, footnotes and details no one can stop yawning long enough to read, much less remember. And it goes both ways. Let’s face it, no one is overly excited about administering these classes. Many companies have sought solutions to this by offering online compliance courses. The primary advantages with online training is that employees have the flexibility to choose when they want to complete the training, and companies are able to save on the resources usually required for in-person training. 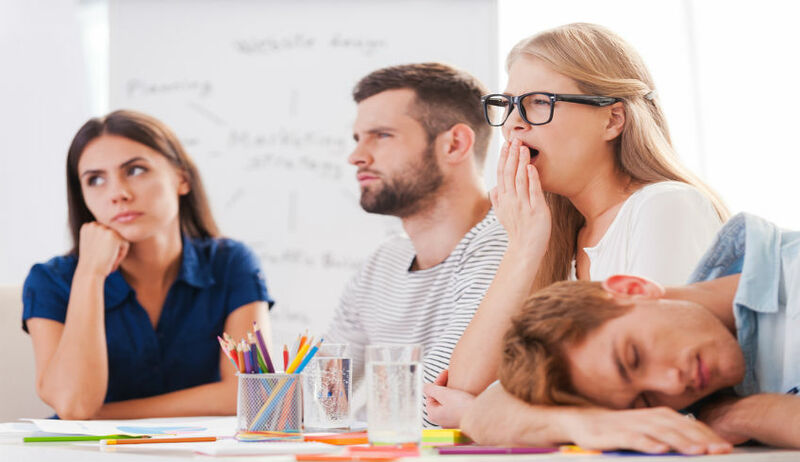 With these advantages, the problem nevertheless persists: How do you make compliance training less boring? Building a compliance course with an online learning platform opens up many opportunities. Online courses allow you to be creative and implement solutions that at one time may have seemed impossible: making compliance training interesting. Rather than throwing facts and figures at employees, frame your lesson in a story. People naturally learn and retain more information when something is told to them in the form of a story. You don’t need to invent an elaborate plot, because what matters most are realistic details. These elements allow the student to ground the lesson in the real world. Creating competitive and interactive games to relay important information is all the rage in education right now. Why? Because it’s effective. Companies and institutions have been fully exploiting the possibilities of gamification by transforming dull material into engaging content. When integrated with a story, gamification can be even more effective. You can create an investigation, a mystery or present real-world problems that need to be solved for points. The possibilities are immense and promising. The great thing about the Internet is that it’s collaborative. The amount of free information and content available in various forms of media allow you to find a number of high-quality videos to use in your course. Videos offer a great way to get people’s attention and convey information. They can also be integrated with games and quizzes to promote even more interaction. This is just a small peek of what’s possible with today’s online learning platforms. Bridge, an online learning platform, with its easy-to-administer tools for quick and sophisticated course creation, gives you and your organization an easy way to create engaging – and maybe even fun – online compliance training courses.